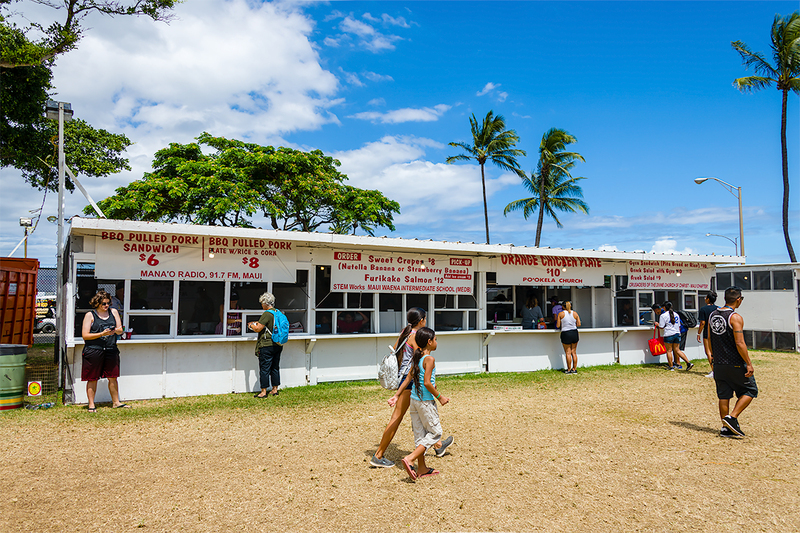 A Fair is not a Fair without Fair food and the Maui County Fair is no exception. Yes, you can find mainland foods like hot dogs and hamburgers, popcorn and cotton candy, ice cream and shave ice (snow cones). But how many Fairs can you visit and enjoy BBQ pulled pork w/rice and corn? Or sweet crepes? Or Furikake (nori, i.e. seaweed) Salmon? Or orange chicken plate? The Food Court consists of dozens of small booths selling such "delicacies" — most sponsored and staffed by churches, youth organizations and fraternal groups. They normally get the same spots for their booths every year so that visitors know where to go to get their fix of chow fun (stir-fried beef, noodles and bean sprouts). 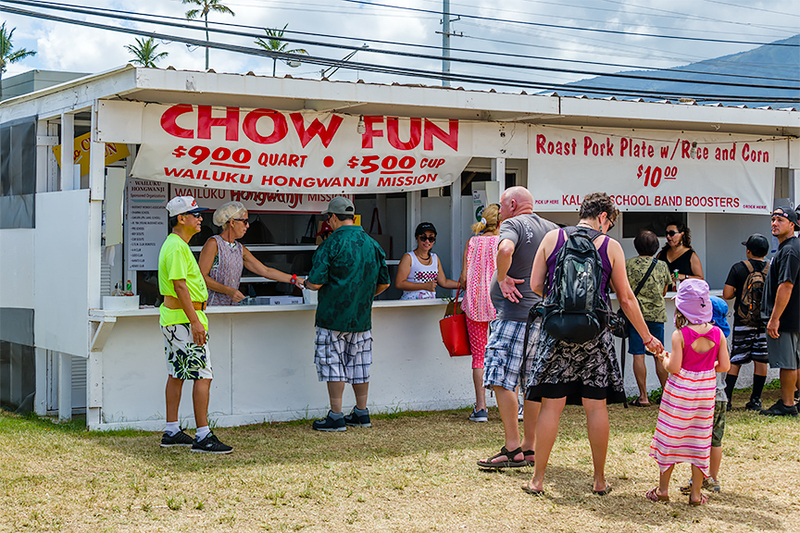 The Chow Fun booth is where my friends agree to meet for a quick snack before touring the Fair itself. 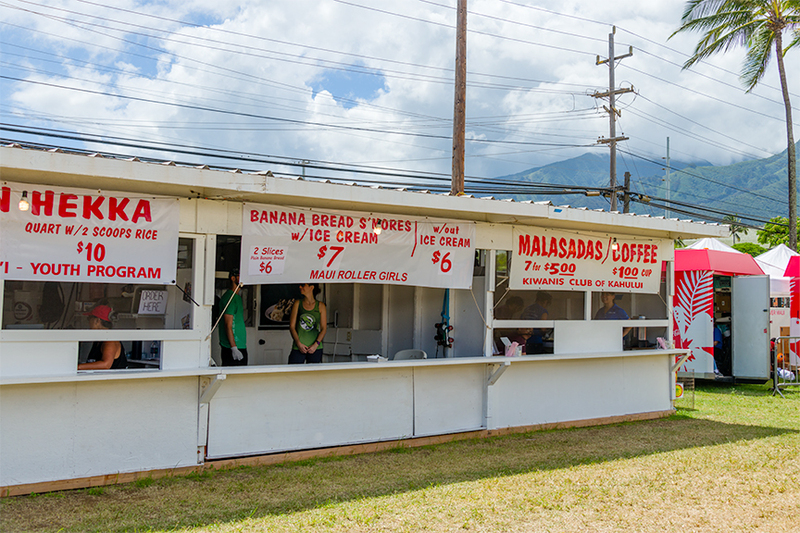 One of my favorites is the malasadas booth. If you don't know, malasadas are like a large donut hole covered with granulated sugar. This booth serves them up piping hot in a brown paper bag with more sugar. You shake the bag and turn it upside down to fully coat the malasadas then dig it. 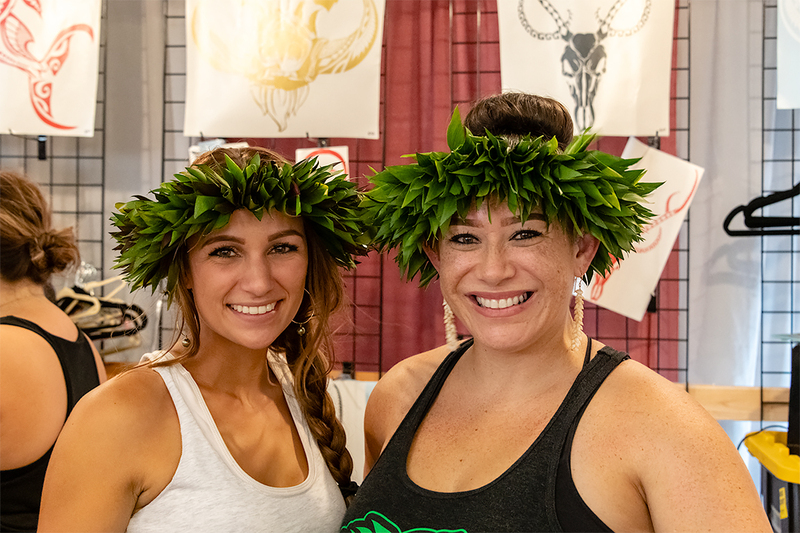 If you perchance visit Maui at a time when the Fair is not going on, you can still enjoy wonderful malasadas from Home Maid Bakery in Wailuku. In addition to the sugar-coated malasadas, you can also get them filled with custard cream. Eat these and you'll think you've died and gone to Heaven. 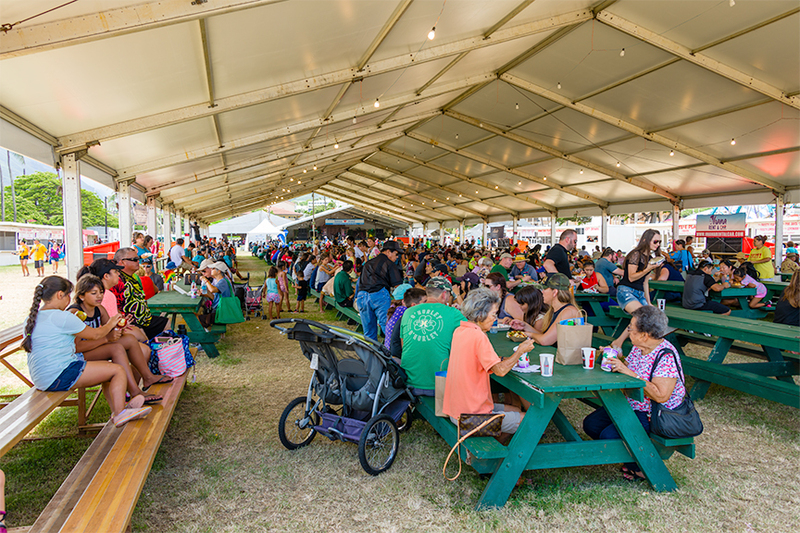 In the center of the Food Court is a large tent where folks can get out of the hot sun (and rain if that should place during a visit) in order to enjoy their Fair food. At the far end is a stage for entertainment which goes on intermittently all day and night until the Fair closes. Another mainstay of most Fairs is the Better Living pavilion. 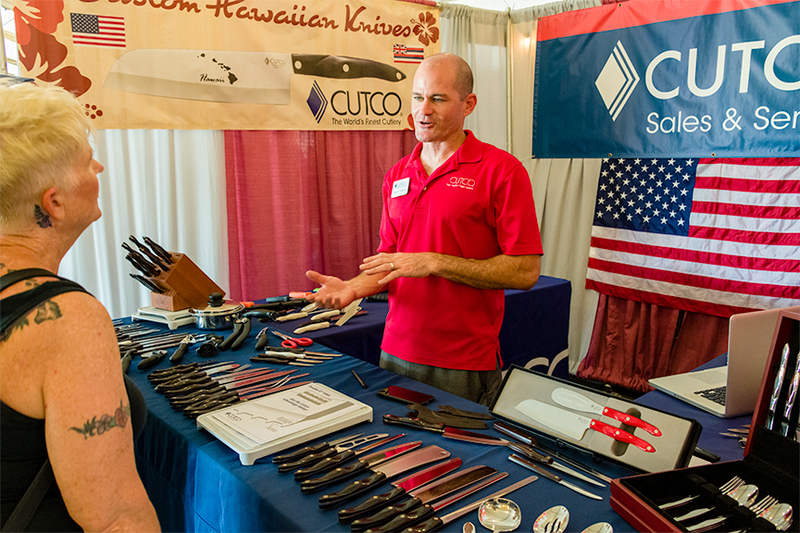 Here vendors offer all kinds of goods and services to Fair visitors such as this one selling knives. I was stopped by a vendor selling Jacuzzis. I told him that I did not think I could carry it onto the plane so I would pass on his kind offer. These two young vendors stopped me, not to sell me something, but to ask if I would take their picture. Of course, I was happy to do so — got their email address and sent them the JPG (big enough to print a 4x6) once I got home to my computer. This was their booth. 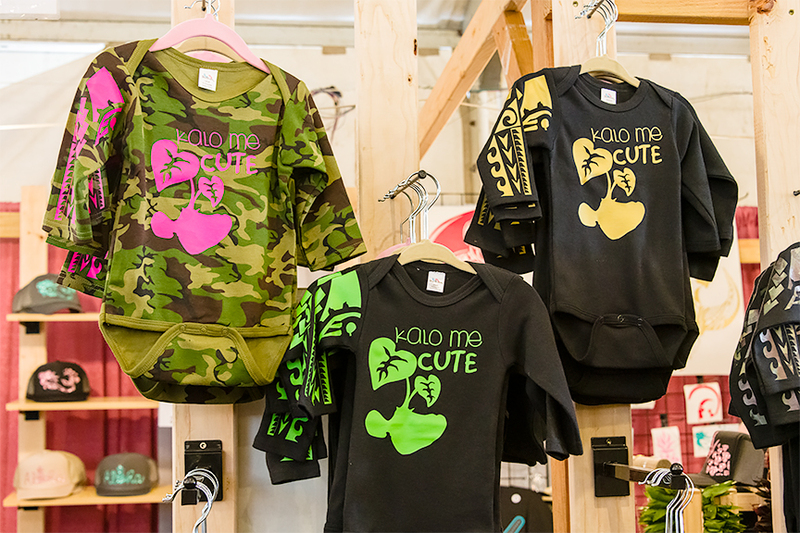 It looks to me like they were selling silk-screen prints on kids clothing. Very cute. Just outside was a tiny house. Perhaps you have seen the HGTV show, Tiny House Hunters, where people are looking for a tiny house (and when they say "tiny" they are looking at 400 square feet or so). Many are equipped with wheels so they they can be towed from one location to another to suit the owner's whim or circumstances. 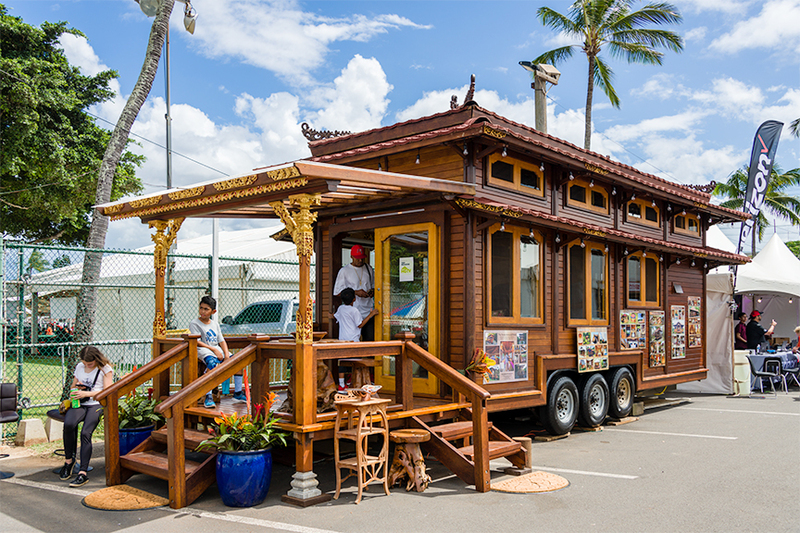 This particular unit is from a company who sold a tiny house to a couple on another HGTV show called Tiny Paradise — same premise but it takes place in idyllic locations. "From a glass house on the beaches of Mexico to a Colorado mountain retreat designed out of a sheep wagon, these adventurous homeowners follow their dreams to build their own small slice of paradise." 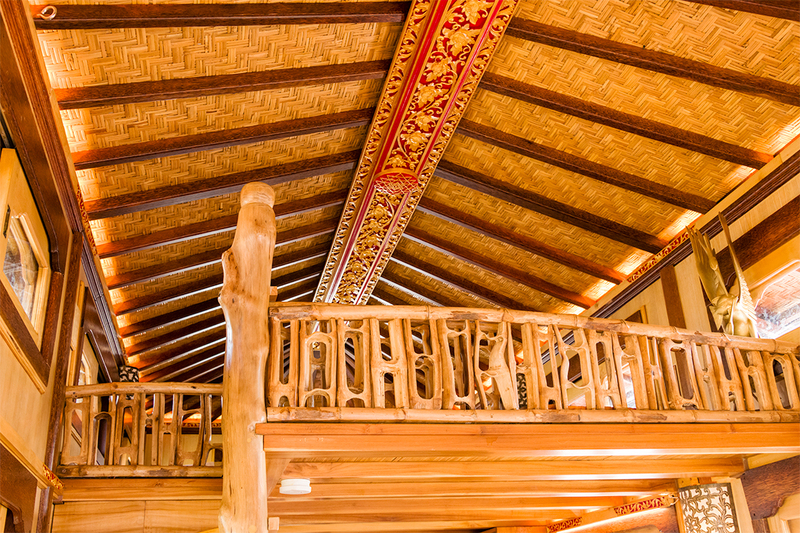 It is quite attractive with its tropical woods and intricate carvings. I like the design but am not sure if I could live full-time in such a tiny house. It would be even more of a challenge if you were married and had kids. This photo shows the loft bedroom, a common feature of many of the tiny houses. They are generally equipped with a ladder or circular stairs to climb to the second level. You do not have enough headspace to stand up (except for little kids), so you have to move about on your hands and knees when in the loft. 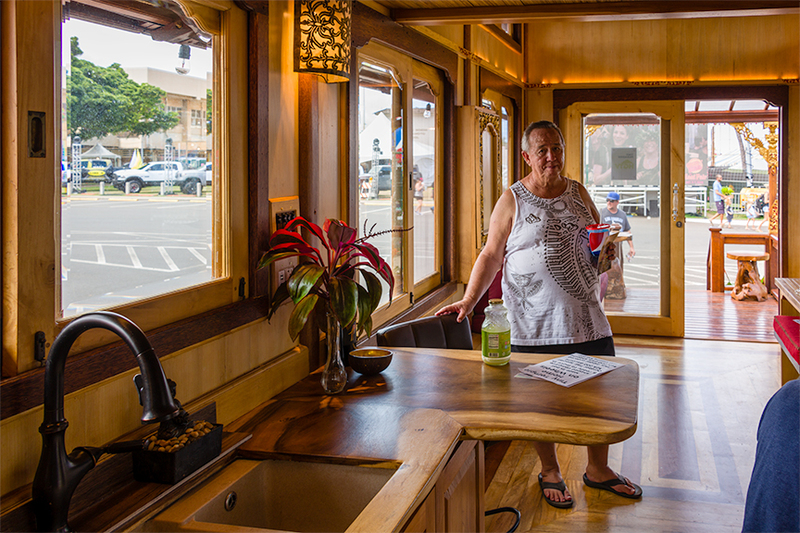 The company displaying this unit has a website with details, in case you're interested just out of curiosity or maybe you actually would like to live in a tiny house in paradise. Note that their website has the video of the full Tiny Paradise show featuring their tiny house. It is quite interesting. The URL is https://www.mandalaecohomes.com.